Signs of early spring are starting to arrive here in the Pacific Northwest. Our one blast of cold, snowy weather landed in late January and kept what felt like a very early spring from advancing. The first snow crocus have only begun to show their colorful faces in the past week. Last year, they began to open in late January. My hellebores have blooms that are still tightly wrapped up. Not ready to show off quite yet. I chose to implement some color near the doorway. The gray skies of winter in the Pacific Northwest become a bit dreary after a few months. The heather is blooming and has for a few weeks now. I always appreciate how it draws out the first honey bee's of the season. And finally, the hardy primroses my neighbor gave me a few years back are happily blooming and lending some early color in the gardens. 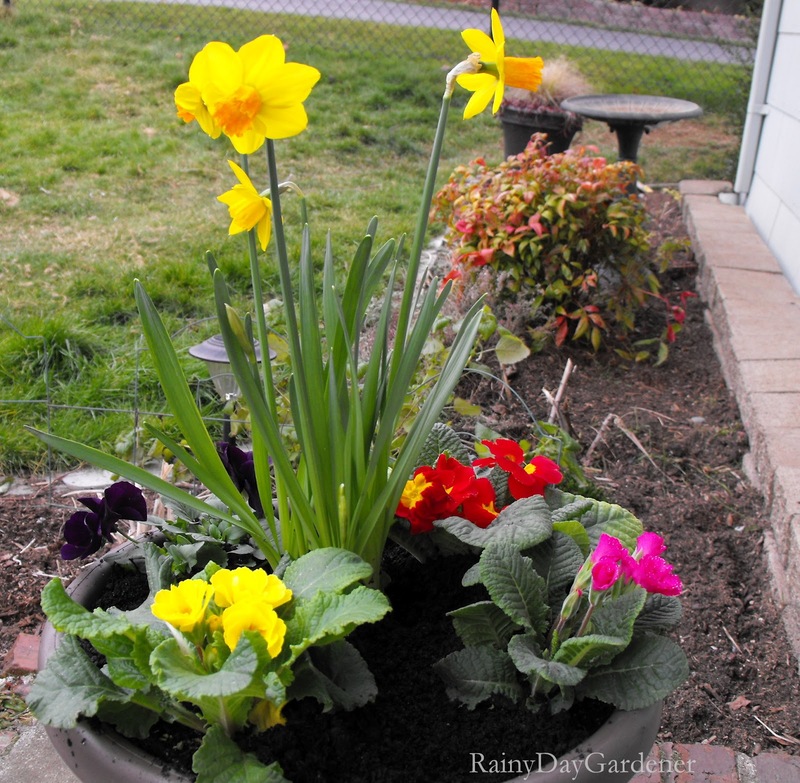 Happy Garden Blogger's Bloom Day! Join in the fun and what else is blooming around the world! Thanks to Carol for sponsoring this much anticipated monthly event! Really lovely blooms going on for you right now. It's lovely to see the first signs of spring in your garden. Love that gorgeous Heather! 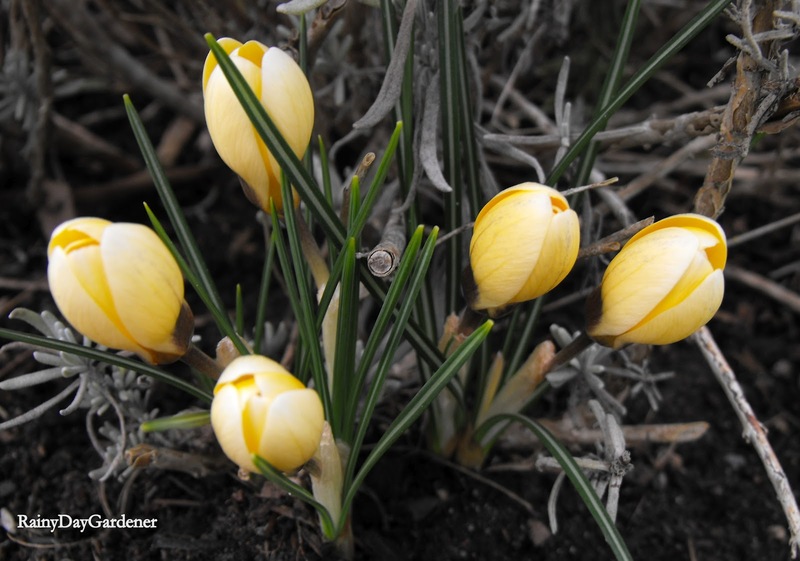 I especially like the crocus! Spring has arrived in your garden. Beautiful heather, I love the plants. In our garden in Toronto, Canada only snow drops bloom. Lovely blooms for this early in the year! Love the planter at your front door. Oh how very pretty! I love the primroses! 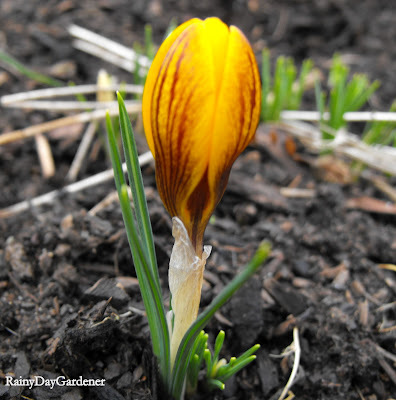 We are still a month out from seeing crocus and pretty much anything else. The heather is lovely,too. Primroses are so cheery--love the colorful pot next to your front door. How nice to have heather blooming, too. Happy Bloom Day! Very pretty! I'm anxiously awaiting the blooms from my crocuses. They were determined to miss GBBD, I guess! Love your heather! 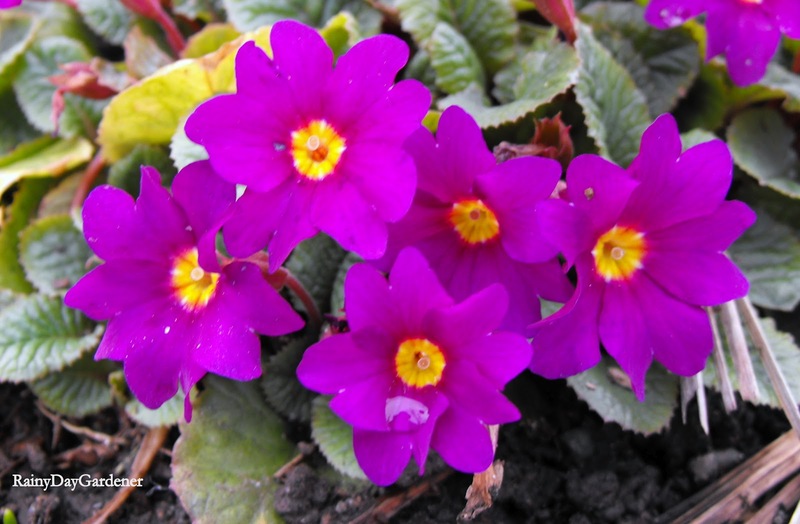 And your primrose is a beautiful color. Everything looks so pretty. Happy Bloom Day. Aaaw, the first sign of spring :-) Gorgeous! 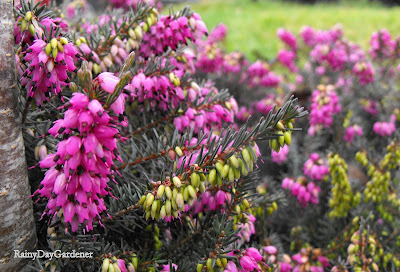 I like the heather too, haven't got growing conditions for that in my garden, but I'd love to have some. I am so happy for you. I love primroses. They are so colorful. The pot by the door looks so good. Maybe I could use some food coloring in the snow, hum, probably not. Beautiful flowers, Jenni. I really love that Heather. Hurry up spring! Some lovely colour in your garden. Yellows and purples are so cheerful! Happy Bloom Day! We all seem to have the yellow stripy crocus this year. 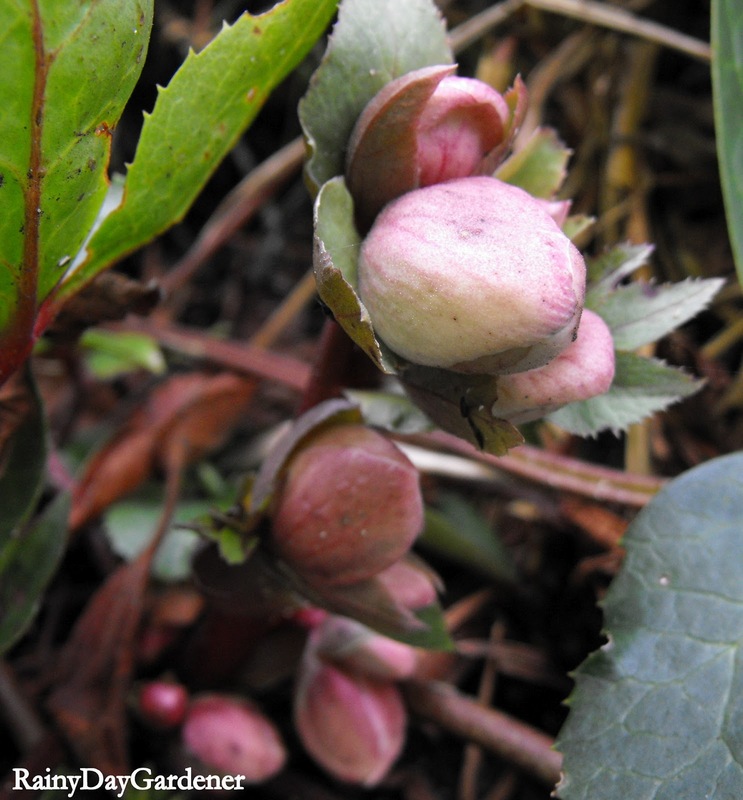 Stange that you hellebores are still only in bud as in our garden it's the first to flower even before the snowdrops. I'm suprised as well Sue. I know they are in a very shady place, and maybe that's what's wrong? But they were open this time last year. I plant to move them (add more varieties) to a part sun location next year at the new house. I'm so jealous of your Heather! I've tried them a few times and cannot keep them alive for the life of me! Hi Jenni; So you have sowed peppers and tomatoes have you? I have deliberately not got mine started yet, but I reckon that I will be doing so in the next week or 10 days. Then the propagators and mini-greenhouses will really come into their own. I'm also trying aubergines this year, so I hope we get a warm summer for a change. We are apparently almost in drought conditions because we have had two abnormally dry winters in a row. We are not used to the idea of having to store lots of water - we expect it to be available all the time! Your heather is beautiful. I don't think I can grow it here in Michigan. It is great to see plants from other places. It looks like I've found the one corner of the country that isn't three weeks ahead of schedule this year. I'm glad to see your plants catching up with the season. Happy Bloomday to you. The weeks ahead should be worth waiting for. 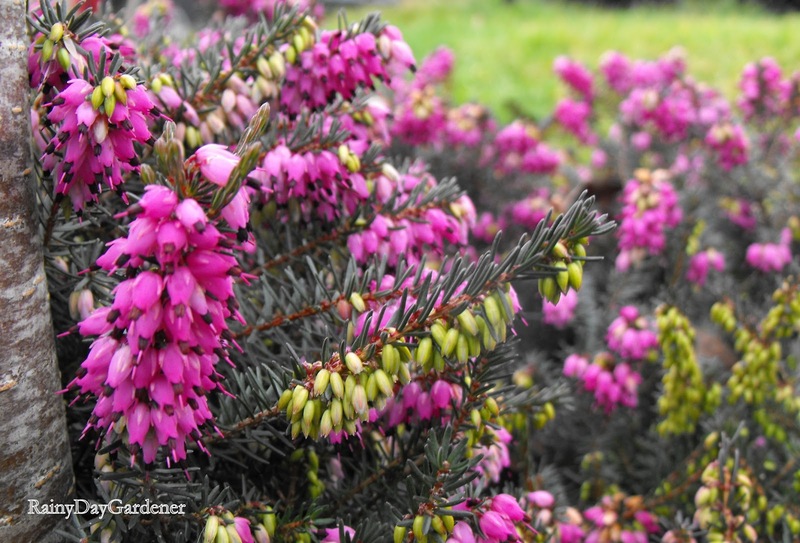 Isn't it great to finally have the first signs of spring in the garden - and that Erica heather is really thriving in your garden. Happy GGBB!